Coastal Mapping was an EMODnet activity, initiated in 2015 at the end of the second EMODnet development phase (Phase II) and finalized in June 2018. It was not part of the preparatory action which ran from 2009-2013. Moreover, the main objective of EMODnet Coastal Mapping project, unlike the other EMODnet portals, was not to provide data or products, but to build a coastal mapping programme. Integrated Coastal Zone Management (ICZM) is one of the main tools to deal with current and long-term coastal challenges, including climate change and its impacts (for instance sea-level rise, changes in storm frequency, strength and patterns and increased coastal erosion and flooding). 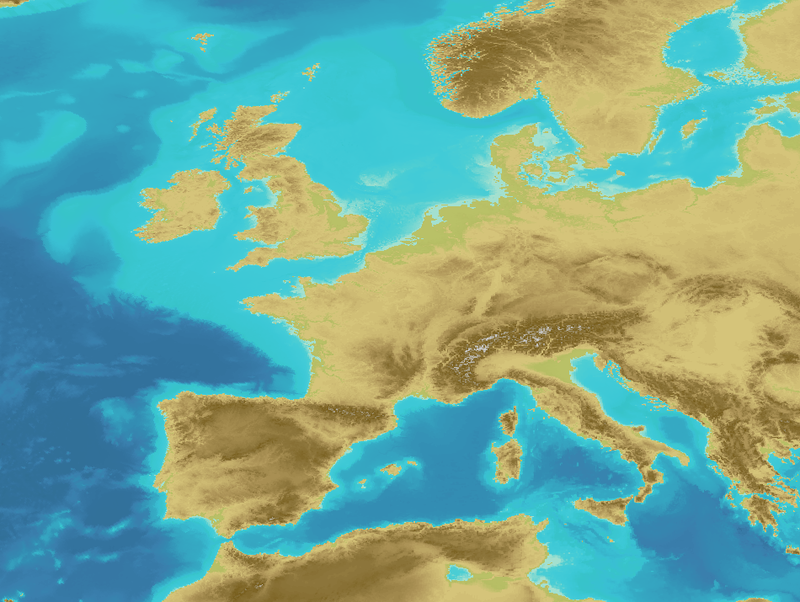 As stressed in 2002 by the European Parliament and Council Recommendation on the implementation of Integrated Coastal Zone Management in Europe, the ICZM requires “strategic, coordinated and concerted action at the local and regional level, guided and supported by an appropriated framework at the national level”. The implementation of the ICZM and of the EU Marine Policy requires a response to the following main need : more high quality, seamless, interoperable and accessible data on coastal areas across Europe especially bathymetry and seabed mapping. The main objectives of the EMODnet Coastal Mapping project were to assess the availability of digital coastal maps in the EU, to disseminate this information by EMODnet, to share experience of coastal mapping in the EU, to develop standards for best practices and to propose how a future Joint European Coastal Mapping Programme (JECMAP) could operate. The portal allows users to view, query and download data and metadata from public and private sources – from throughout Europe - via a single entry portal. It also provides indications of most appropriate technique for future mapping and digital data from other organisations (EEA, other EMODnet projects). A data warehouse providing a range of dissemination services (within the OGC standards) and powerful tools for handling GIS data (raster and vector). The portal offers access to data visualization and provides the required tools through an ergonomic and intuitive interface. Disseminate data through the OGC services (compliant with the INSPIRE directive) as well as through download services. Its goals are to provide the operators a robust infrastructure to disseminate data and give the opportunity to operators without any effective dissemination infrastructure to easily set up and provide access to their data. The partners of EMODnet Coastal Mapping combine expertise and experiences of collecting, processing, and managing coastal data. For the purpose of populating the portal with services and datasets, several partners will be engaged. During the project duration, several types of sources were used (external providers, other initiatives,…). The project's strategic objective was to develop an innovative analysis of the needs and means in Europe for the acquisition of marine data in coastal areas, as well as concrete propositions for the development of European strategy for marine data acquisition. To address these objectives, the project developed propositions concerning an infrastructure enabling partners to prepare, update, aggregate and disseminate data produced by them, as well as develop tools to prepare and optimize data, provide high performance services disseminating the prepared layers with respect to INSPIRE recommendations, propose an ergonomic web portal and provide training to potential users. The project also assessed consistency of the existing vertical datum, list and summarize past experiences and best practices, develop and test an algorithm for choosing the most appropriate surveying method and build a technical and economical strategy. Finally, the project developed a method to draw a Joint European Coastal Mapping Programme (JECMaP) in shallow waters for bathymetric data. The EMODnet data infrastructure is developed through a stepwise approach in three major phases. Currently EMODnet is in the 3rd phase of development. EMODnet Coastal Mapping was a new thematic area in EMODnet Phase II, not covered in EMODnet Phase I. The supporting project began in June 2015 and ran until June 2018. The first 18 months comprised the operational phase, having the portal opened after 6 month, the production of the algorithm for choosing the most appropriate method for coastal mapping after 9 months and the proposal for a future programme after 18 months. The second phase was dedicated to the maintenance of the system.